Are you a fan of drag, that is not drag race? Love yourself something more local? 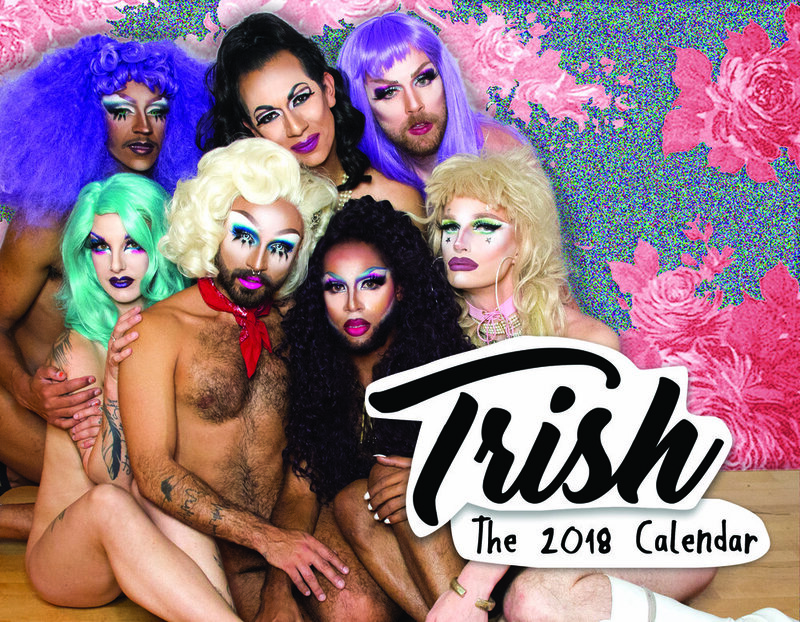 Trish the Drag-A-Zine has launched their 2018 calendar that doubles as cool prints of cool queens. The unclockable drag-a-zine, Trish: was founded in January of 2017 by Cash Monet and Mama Celeste, two Bay Area drag performers. The two not only being so fierce that they were featured in our round-up are also two extraordinary artists, the two have been at the game for nearly a year. For those who are wondering... "What's Trish?" Easy: Trish is a "for drag queens by drag queens" publication which explores the boundaries of masculinity and femininity especially as it relates to the sexuality of drag performers navigating multiple gender expressions. The name 'Trish' is a play on words for 'Fish' and 'Trade.' And if you need to look up what those mean, we can link you here. And with these new calendar images, the publication aims to give a platform to Bay Area drag queens who are, at their core, visual artists. Photographers, painters, videographers, installation artists; it's all about representing talent that goes into nightlife performance. But without any delay, check out the images below of some of your faves and let the gals of Trish know which ones you love. // Follow Trish and make sure to pick up your copy today; $25 by mail. Header photo courtesy of Trish the Drag-A-Zine. So grab our newsletter why don'tcha?